Penguin Island Tours provides a service that is unique and memorable for all tourists alike… Our aim is for travellers to experience the beauty and wildlife that Phillip Island has to offer. 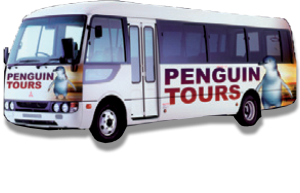 The people at Penguin Island Tours understand that tourists are what make our business. As such, we provide a service with warmth, understanding and a great deal of professionalism to all customers. We will go that extra mile to ensure that all facets of the tour are a success – from bookings, pick-ups to drop off – all this, so our customers can leave Victoria with a big smile on their faces!! We are a friendly, innovative and unique company that strives to create the best possible day adventures for travellers of all kinds. You are sure to have a bonza day! Our tours are conducted in modern air-conditioned 24 – 27 seat vehicles.